Current status (February 2019): 228 completed (81%). Latest munros: Sgurr Thuilm & Sgurr nan Coireachan, Glenfinnan. In 1891 Sir Hugh Munro first published a set of tables of the 3,000 feet (>914.4m) mountains of Scotland. Since then later generations of hill walkers have explored the hills and used completion of the list as a challenge. His name has become synonymous with these mountains even though he didn't quite achieve it himself. I have had an ambition to complete the Munros for many years and have been slowly and sporadically ticking off the list. Why? Aside from the satisfaction of the challenge, it is a great way of getting to see some really beautiful and, in places, remote parts of Scotland. There is no exact definition of a Munro so the number of them is open to debate. Running some of the hills is possibly my best chance of success as more can be done in one day. In August 2003 I jogged 8 Munros along the South Shiel ridge from Sgurr na Sgine to Creag a'Mhaim in blisteringly heat; the pint of Guiness at the end was well earned. I have also used a mountain bike on a number of routes which can save some significant time on the way in and out. Lurg Mhor near Achnaschellach has been the best ride in and out from Attadale, especially as the weather was possibly the warmest day I have had in the mountains in Scotland. 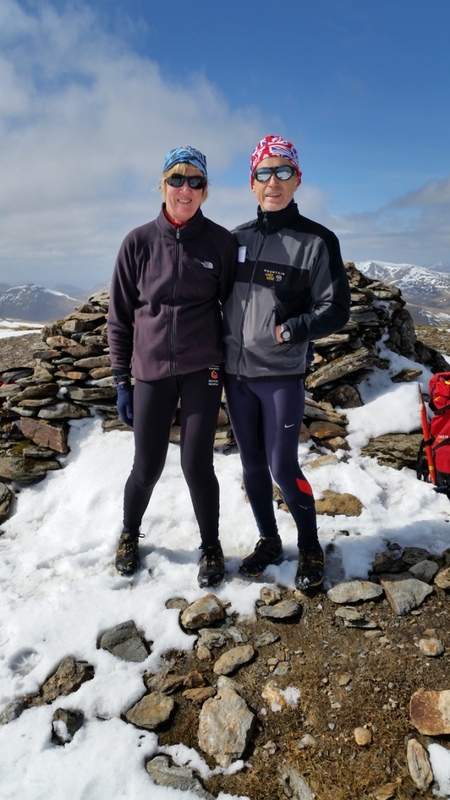 Highest munro: Ben Nevis (1,344m). 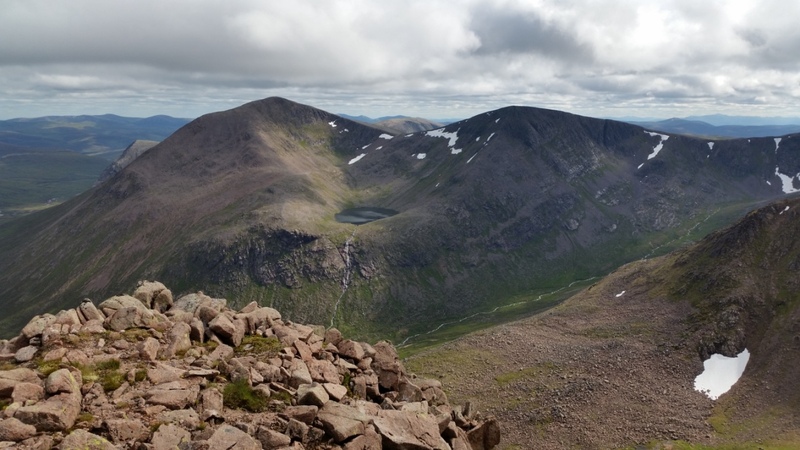 I've been to the top of "The Ben" on quite a few occasions including walking the tourist path, completing the fell race, climbing Tower Ridge and via the Carn Mor Dearg arrete. Most challenging: Innaccessible Pinnacle (climbed in August 2009, lead climbing gratefully provided by Neil Harwood of Guildford Orienteers). Saving to last: Undecided..... should I get to 250 I will start to think about it! To record progress I have an online listing of all UK hills climbed on Hill Bagging. Powered by www.coria.co.uk © Keith Tonkin 2011-19 (all rights reserved).